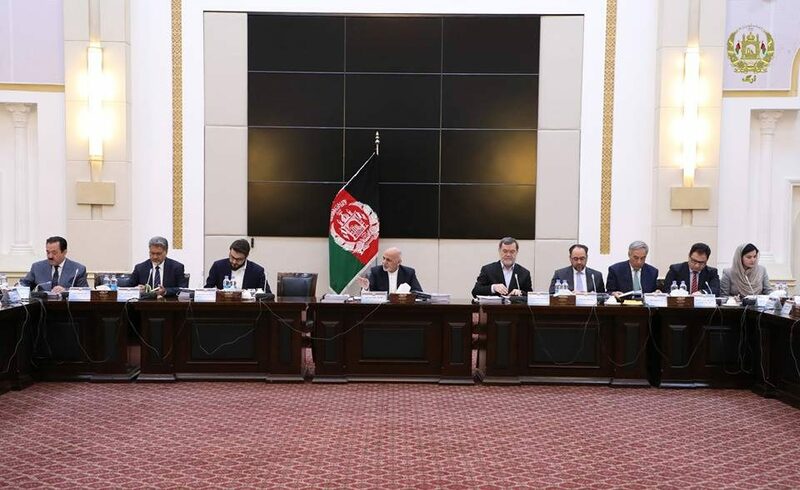 KABUL: Chaired by the President of the Islamic Republic of Afghanistan, Mohammad Ashraf Ghani, the cabinet meeting discussed different issues including draft bills proposed by a number of ministers at the meeting, a statement from the presidential office said Friday. In part of his directions to the cabinet members attending the meeting, he provided the needed details about the expansion of affairs related to the air corridors, Lapis Lazuli Route and Chabahar Port, according to the statement. Other organs concerned, particularly the state minister on natural disasters, were also instructed to remain round the clock on alert for prevention of any possible natural disasters in the vulnerable areas and secure informative system between the center and the provinces, said the statement. On the regulation draft of the ministry of justice about commercial advertisements related to goods and services and the aim of the draft that has been confirmed by the committee of the laws, the cabinet of the Islamic Republic of Afghanistan said that the draft should be reviewed and presented in the next meeting of the cabinet, while some other proposed drafts on the digital networks regulation for TVs, was confirmed by the meeting. Pay-scale regulation for the higher education institutions’ scientific cadres, which was also proposed by the ministry of justice, was asked to be finalized after discussion by the cabinet members. Afghan Red Crescent Society (ARCS) also shared a report about the revenue of the society from the Hajj Pilgrims that reached to 287,600,000 Afghanis from which up to 182 patients with hearth diseases have been treated in various domestic and foreign countries hospitals. Head of the society proposed collection of 3 to 5,000 Afghanis from the Hajj pilgrims for strengthening the financial base of the ARCS, which was confirmed by the cabinet.